The General Court has upheld OHIM’s Board of Appeal in rejecting an opposition in which the shared element in the respective marks – PURE – was descriptive for the goods in question. This serves as a reminder of the difficulty of asserting rights on the basis of prominent descriptive elements within figurative or complex trade marks. Both of these registrations covered identical goods to those covered by the application in suit, and so the case turned on the similarity of marks and the likelihood of confusion. At first instance, OHIM’s Opposition Division upheld the opposition finding a likelihood of confusion, but this was overturned by the Fourth Board of Appeal. In its decision of 16 December 2015 (here), the General Court confirmed the Board of Appeal’s decision but underwent its own analysis of the issues. 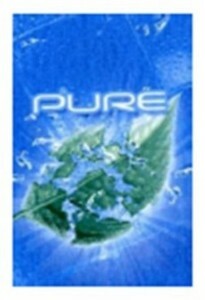 Since the common element – PURE – is an English word, the GC considered the position for two consumer groups: those who understood the English meaning of the word “pure” and those who did not. It held that PURE was descriptive of the goods for the first consumer group, and a fanciful word of average inherent distinctiveness for the second. From there – and in the absence of proven enhanced distinctiveness – it decided that for those consumers who did not understand the meaning of “pure”, TRIDENT is the more important element in the mark applied for by reason of its position in the mark and its visual significance. For consumers with an understanding of English, it held that TRIDENT had an even greater importance because of the descriptive nature of the element PURE. Coupled with these points, the GC viewed the mint leaf device as the “main element” within the earlier mark ‘1634 for English speakers, whilst non-English speakers would gravitate towards the TRIDENT element and pay some attention to the mint leaf because of its position, size and graphic representation (para.’s 71/72). From the above reasoning, the GC easily moved to its decision against any likelihood of confusion, and following similar reasoning in relation to CTM ‘1869 and the other earlier trade marks, to dismissing the appeal. This decision serves as a reminder of the continuing direction of travel for marks in inter partes disputes where the common elements in the respective trade marks have a low degree of distinctiveness – that a likelihood of confusion will rarely be found in the absence of other relevant factors (such as enhanced distinctiveness through use). Taking a step back, this issue is closely linked to one which has been discussed in this blog as recently as 15 January 2016 – see here for a discussion of two other very recent decisions of the General Court on the registrability of figurative trade marks containing only stylisations of purely descriptive words or expressions. “….converge the practice regarding non-distinctive/weak components of marks for the purpose of assessing likelihood of confusion assuming that the goods and/or services are identical” (see the Common Communication here). So this GC decision sits well with what is now increasingly the practice of OHIM in cases where this point arises. In this particular case, OHIM’s first instance decision was back in early 2012, before the effects of the Convergence Program (which commenced in 2011) really began to filter through. But with the Board of Appeal’s reversal of OHIM’s first decision, and the GC’s confirmation of this, the point has been underlined.